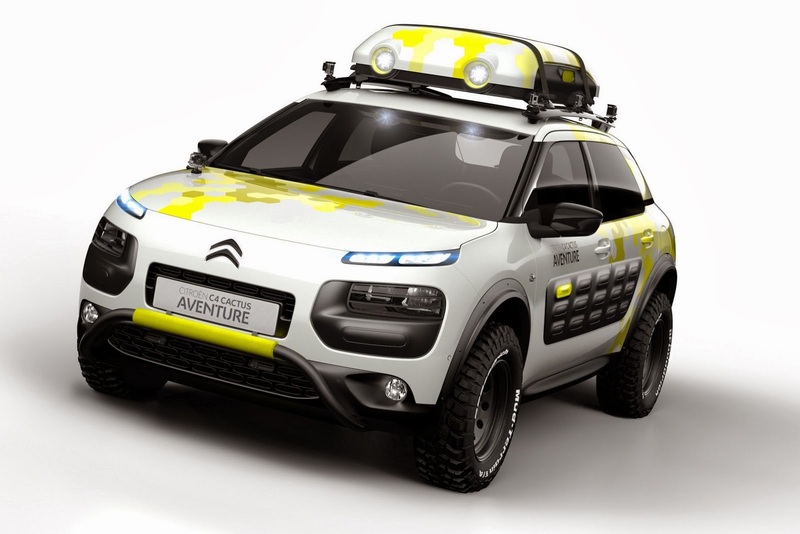 Citroen is headed to the 2014 Geneva Motor Show with a whole bunch of vehicles, both concept and production. 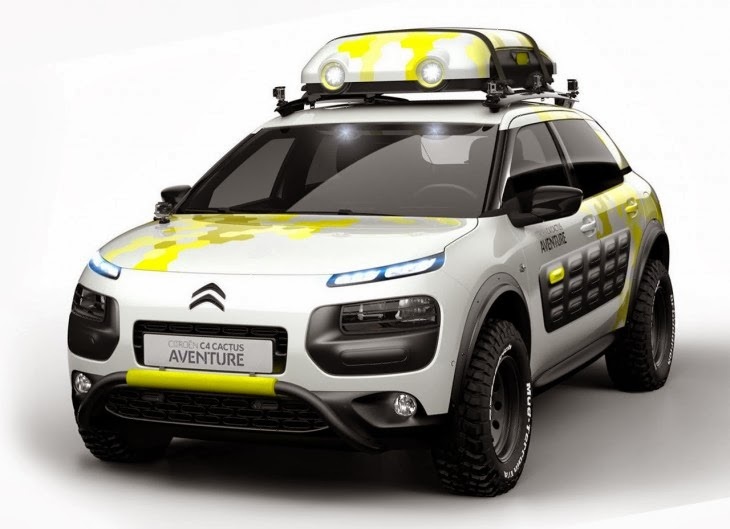 But probably the most eye-catching of all will be the ruggedized Citroen C4 Cactus the company has specially developed for the show. 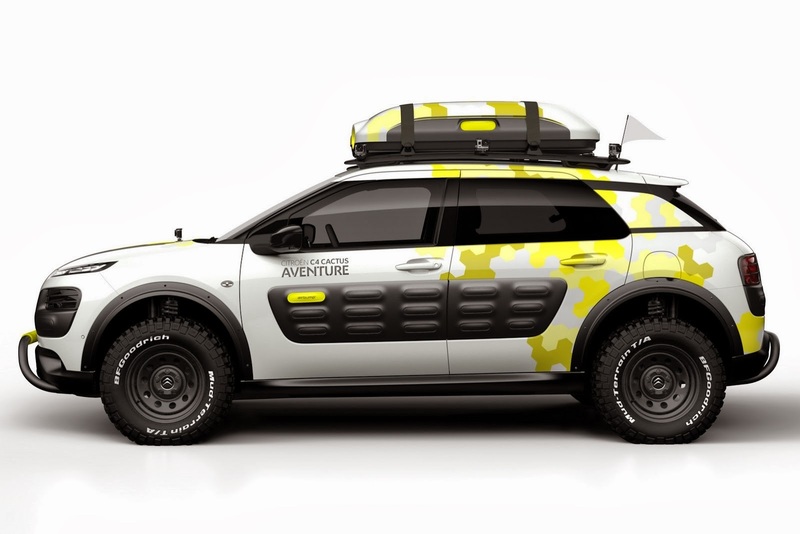 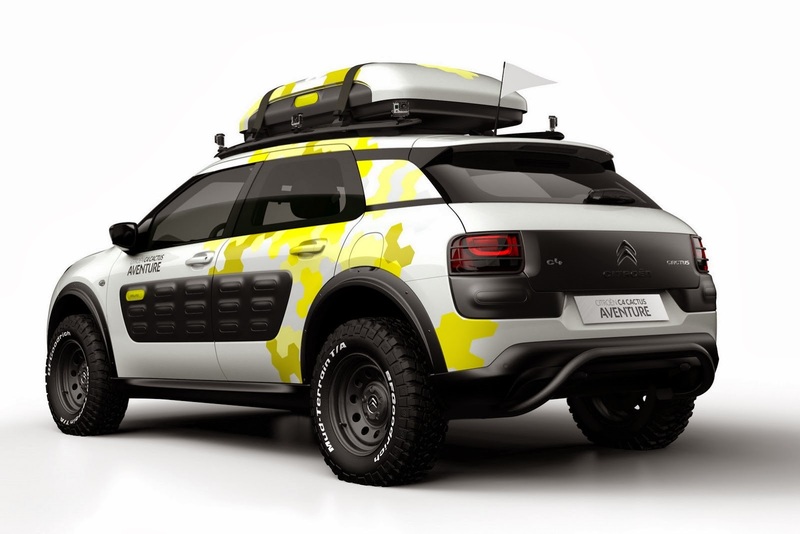 Called the C4 Cactus Adventure, the concept features a raised ride height, off-road wheels and tires, headlight and tail light guards, front and rear bumper bars and a custom designed roof box with built-in lighting.